My truck is a 1971 GMC sitting on an ‘03 2500 chassis. It was an extended cab short bed so I cut it about 17 inches to make the ‘71 body fit on it. The ‘71 cab had a lot of rust on the floor so I cut everything out and replaced the floor and firewall with the ones from the ‘03. That way I was able to keep the dash and every option the new truck has. The engine is still stock, but the transmission was built by Accel Diesel and it has EFI Live tuning by Rick Engler at Accel. 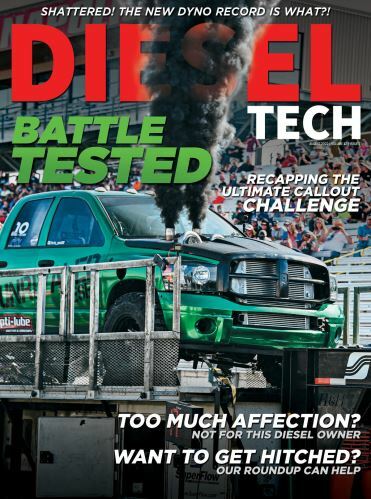 The truck makes 511hp and 1035 lb/ft of torque with just the tuning and transmission. For the future, the truck is getting a set of new 30 percent over injectors, dual cp3 pumps, and a stock over S475 turbo setup. I daily drive the truck and also tow with it. Since the truck still has AC and heater, it is nice to drive. I built this truck last year in about 3 months and drove it all summer long, plus I also took it to the track a couple of times. The best time was a 13.6 with just tuning when the built transmission was put in. I never had time to make it back to the track, but I’m hoping to get it in the low 11s for the 1/4 mile.